Join us on the last Saturday of the month at 6:00pm for an evening of food, games and fellowship. We have a potluck style dinner, so bring a dish and enjoy some yummy food with us. After the food is all gone, we bring out the cards and board games and start ,of course, in some friendly competition. Everyone is welcome to join us, come one come all! 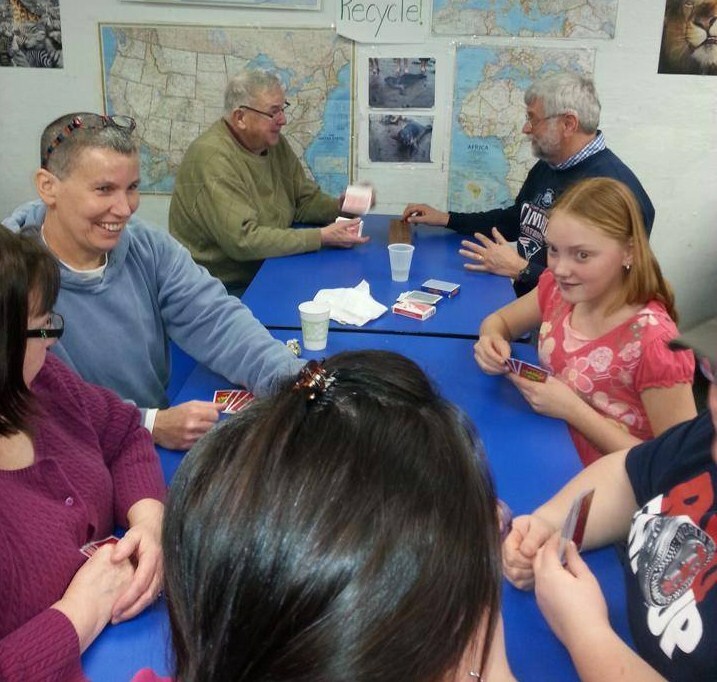 For more information about Game Night please contact Jeanette Taylor.